Looking for the perfect holiday party bag? Look no further than this adorably outspoken clutch in all it’s glittering glory. 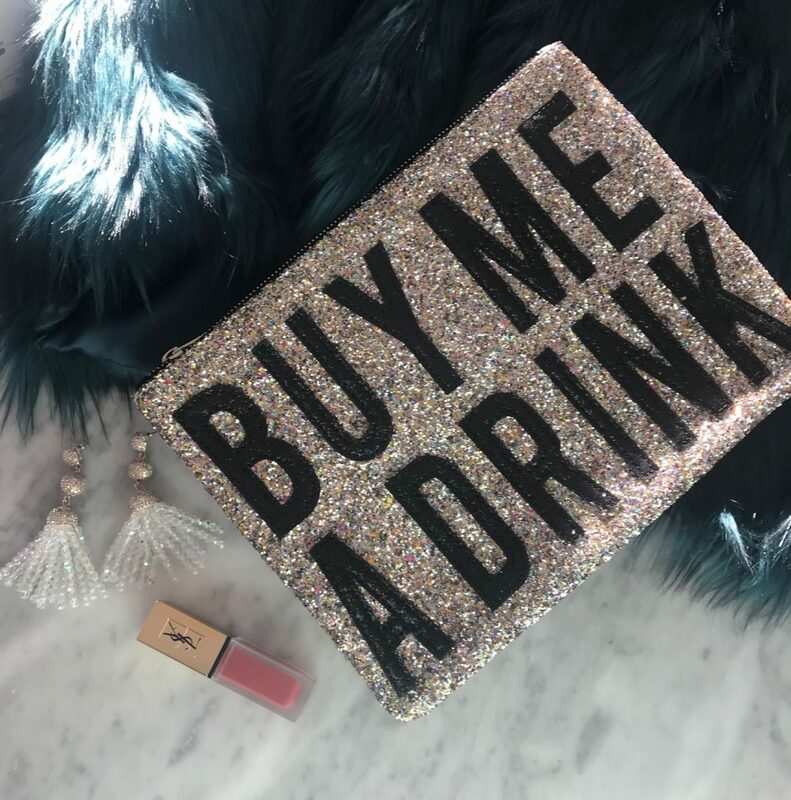 Paired with sparkling beaded earrings and a perfectly rouged YSL pout you’ll be ready for New Years Eve, holiday parties, girls’ night out or really any occasion at all.